Wow, the reviews on Guardian are pretty negative... But I am still interested. Thank you for your comment, Lik. Yes, the Guardian reviewer and I certainly read the book very differently. For someone like me -- not a specialist in art or history but a reader of Russian fiction, which often refers to the Gulag -- the book is extremely valuable as a concise, bilingual account of what went happened. And what went wrong. 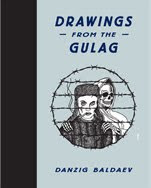 It's a difficult book to read because of Baldaev's strong focus on the horrible brutality within the Gulag, but I think it's important for readers to have his perspective. do all versions of the book have english translations of the captions? 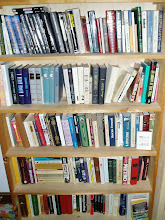 As far as I know, yes, Anonymous, though several of Baldaev's books are available in Russian.